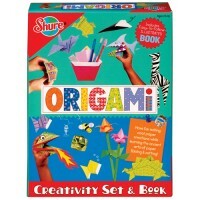 This 2-in-1 arts and crafts kit by Shure includes an amusing art book and art supplies for creative fun. 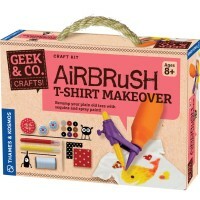 Learn, create and have fun with the Art Book Craft Kit by Shure. 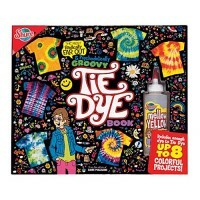 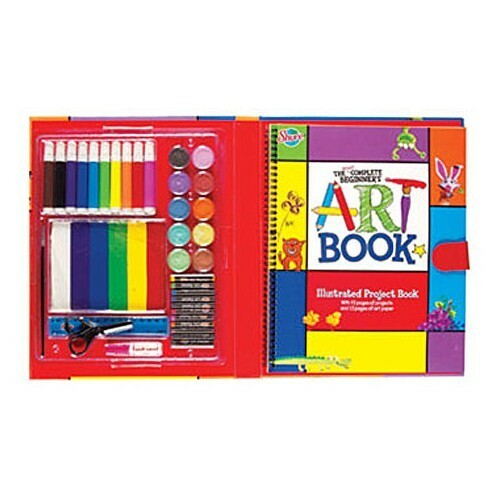 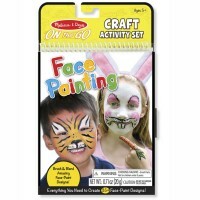 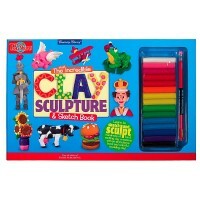 This 2-in-1 arts and crafts kit includes an art book and art supplies for creative fun. 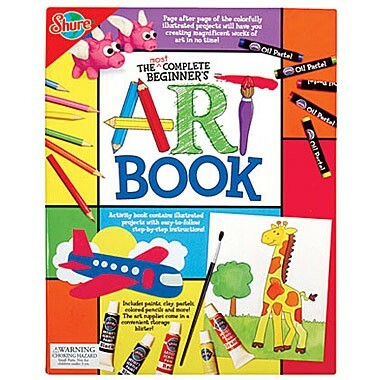 The 62-page wire-bound book explains different aspects of art - from sculptures to water color painting. 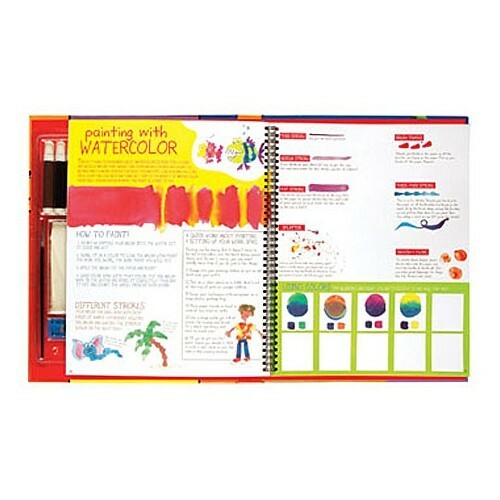 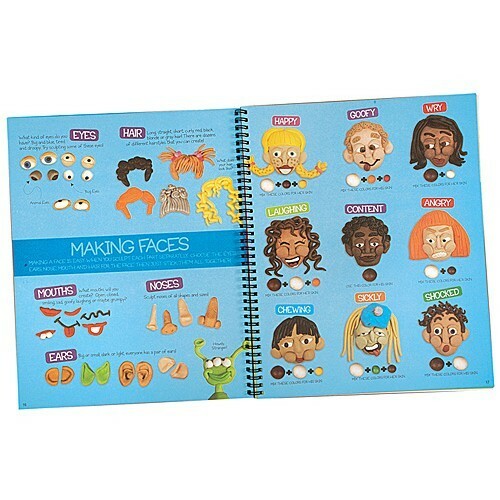 Art Book Craft Kit features colorful illustrations to help children understand how to make their artwork amazing. 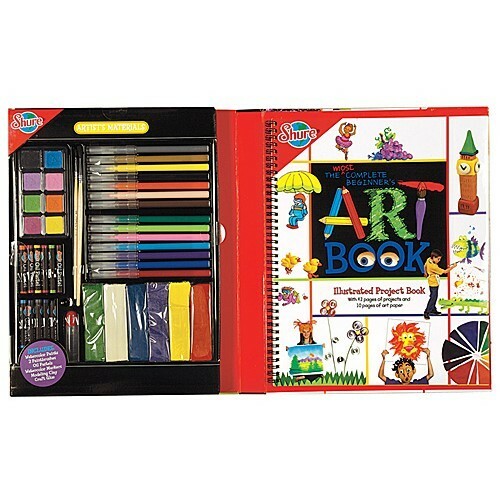 This kids drawing set comes with all the necessary tools that young Picasso needs - different kinds of art paper, press-outs, 6 bars of non-hardening modeling clay, 12 colorful oil pastels, 10 watercolor paints, a real artist's brush, 10 markers, craft glue, a ruler, and scissors. 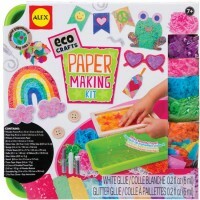 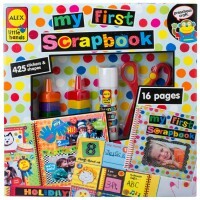 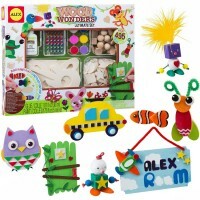 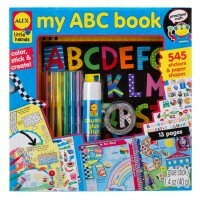 Art Book Craft Kit from Educational Toys Planet is great present for a child who likes doing creative art projects and trying new crafts. 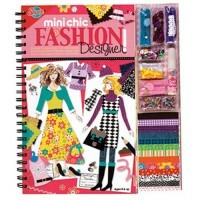 Dimensions of package 10.75" x 14" x 1.5"
Write your own review of Art Book Craft Kit.